iOS users were very excited about the launch of the new iOS 12 as it comes with a variety of new functions and features that weren’t available before. Unfortunately, this celebratory moment faced an awkward halt for some users as their iPhone crashes after iOS 12.2/12.1/12 update. This is not an isolated incident and a lot of users have crashed iPhones in their hands and as this is a newly released iOS, Apple still hasn’t been able to address the issue. Without any official solution, you must be in a devastating situation but it would be better for you if instead of sitting with a defective device, try a few of the general fixes to solve the problem. When the new iOS 12 got released you updated your iOS with a lot of excitement but it simply crashed immediately after the update? You are not the only one whose iPhone keeps crashing after iOS 12.2/12.1/12 update. Sadly any official solution for this problem is yet to release. But you can try force restarting your iOS device with the hope that it may get fixed when the device starts up again. A very common troubleshooting method that works many times! Apple changed the designs of the newer models of iPhones, so the force restart sequence will be very different from the older ones. Step 1: You have to press the Volume Up button and then the Volume Down button. Step 2: Then find the Side button and hold it until the Apple Logo is visible on the screen. These are the older models of iPhone series but particularly the force restart sequence for iPhone 7 and 7 Plus is very different from the entire series. Step 1: Hold the Volume Down button and the Side button together. Step 2: Do it until the Apple Logo is visible on the screen. Step 1: It is very simple! You have to hold the Sleep button and the Home button together. Step 2: When you see the Apple Logo release them. When you updated the iOS to the new iOS 12, most of the apps on your device are still old. So, if you are using an older version of the apps on the updated iOS that could create some problems. So, it would be better if you simply update all of your apps to their latest versions. 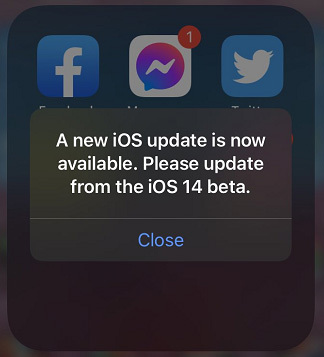 If you want to do that then you have to go to the “Updates” tab in the App Store and download and install any available updates to fix the crashing apps. You can also tap “Update All”. Then you can launch the apps, they will work perfectly. I’m sure that you won’t be comfortable with resetting your iPhone as it will delete all the content from your device but if your iOS 12 keeps crashing constantly after the update then it is preferable to reset the device. Step 1: So, you have to open your iPhone and go to the Settings app. Step 2: Then head to “General” and on the next page you need to choose “Reset”. Step 3: Then click on “Reset All Settings”. Step 4: After that, a message will appear with the confirmation and you have to choose “Reset All Settings” again. Step 5: Now, the OS will ask you again and you have to confirm by providing passcode. Now, your iOS device will be reset and all of your files and settings will be removed. So, you have to basically start from scratch. Step 1: Turn off your device and connect with iTunes. Press corresponding buttons to enter DFU mode. For iPhone XS/8 or X: Hold the Power button for 3 seconds. Then hold the Volume Down button while you are still holding the Power button. Keep holding them no more than 10 seconds. Let go of the Power button but keep holding the Volume Down button. For iPhone 6/6s/6 Plus/iPad: Press and hold the Power button for 3 seconds. Then, press the Home button without leaving the Power button. Keep holding them for about 10 seconds flat. Let go of the Power switch and keep holding the Home button for about 5 seconds. 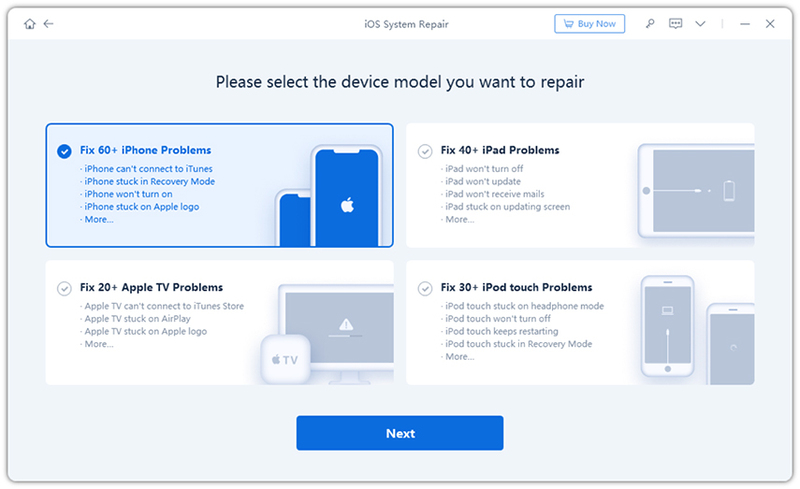 Step 2: If you have successfully enter the DFU mode, iTunes will prompt that it has detected a device in Recovery Mode and requires to be updated or restored. Step 3: Tap on “Restore”. Step 4: Then iTunes will give you a warning that you will be getting a factory reset and all the data will be erased. Step 5: Then you just have to tap “Restore and Update”. This will wipe out all your data and settings and restore it with new software. Now, your device will be restored using iTunes in the DFU Mode. Step 1: Download ReiBoot at first and then install it on your computer. Step 2: Now, launch the program. Connect your crashing iPhone and on the main page select “Fix All iOS Stuck”. Step 3: Now, just click on “Fix Now” visible on that same page at the bottom. Step 4: The firmware download page will come next, select a destination for the package and then click on “Download” below. Step 5: After the firmware package is saved you can click on “Start Repair” for system recovery. 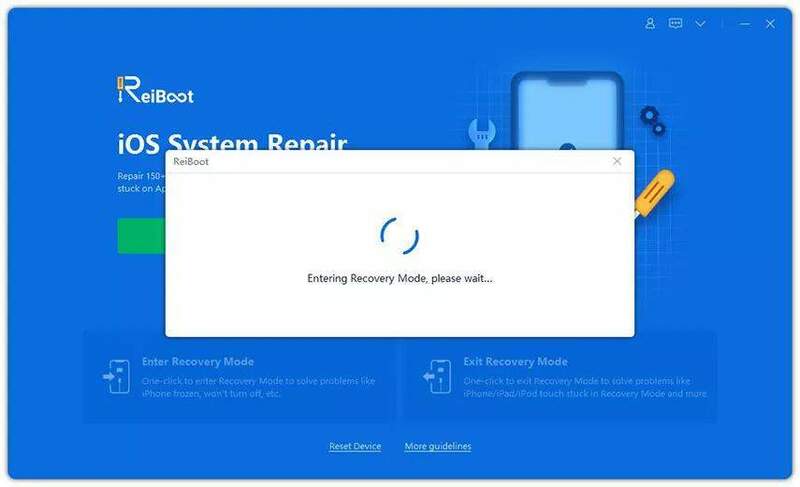 This is by far the easiest procedure on the list and also the most effective as it is repairing the OS itself with just a few steps. Finally, if any of the solutions are not working then you must take your device to the nearest Apple Support Center or just contact them by phone discussing the problem. Most likely something is damaged. There is a high possibility that the battery is damaged. I highly recommend looking for alternate options in the local stores or just contact the official support center! It is unfortunate for anyone that just after updating to the new version of iOS your device start showing serious problems. People were waiting for the iOS 12 with a lot of expectations and now they are in the middle of no-where with their expensive updated device. As usual, Apple is late to address the issue but if you don’t want to sit idle and want to fix it then you can go about the list and maybe you will be able to fix the problem. The list contains various valid procedures capable of fixing the iOS issue. In my opinion, a sure fix will be to go for Tenorshare ReiBoot. It has proven its worth, it is easy to use and most importantly it is very effective to fix iOS 12 stuck and system issues without data loss.